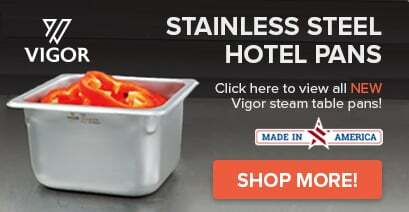 Advance Tabco Sleek Shield NSG-15-5WELL 5 Well Single Tier Self Service Food Shield with Stainless Steel Shelf - 78 1/2" x 19 3/4" x 18 1/2"
Perfect for icing down cold items such as fruit, pudding, yogurt, and more, this HDCPU-5-DR heavy-duty stainless steel ice-cooled table with enclosed base and sliding doors is the ideal addition to your high volume foodservice operation. Measuring 70'' long and 8'' deep, the integrated ice compartment also boasts fiberglass insulation. A full length white thermoplastic cutting board is also fitted onto the unit's front for added convenience, while a enclosed base and sliding doors allow for secure, hidden storage. This unit can be used with standard 12'' x 20'' pans, and smaller pans with the help of adapter bars (sold separately). 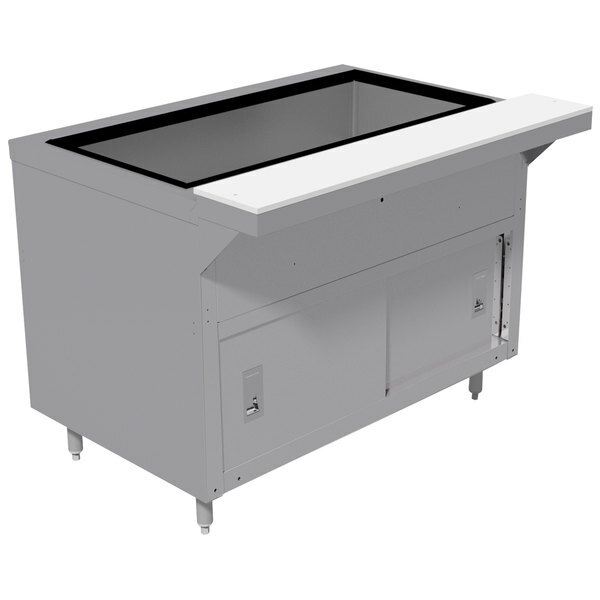 The Advance Tabco HDCPU-5-DR ice-cooled table will serve as an excellent addition to your buffet, salad, or dessert bar.